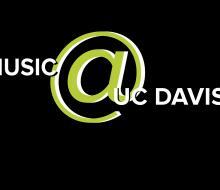 The Department of Music curriculum is based on a synthesis of music scholarship, performance, and composition. A distinguished faculty serve undergraduate and graduate students. Many of our graduates successfully continue their education in the best graduate schools and move into a variety of related careers. Department resources include a diverse collection of instruments and facilities, such as an extensive music library and an electronic music studio. Undergraduate majors can pursue a Bachelor of Arts degree in Music, focusing their studies in either performance, composition or history, theory and ethnomusicology. In the first two years of study, all students take the same lower-division course work, which should include one or more years of applied music study; courses typically include music history and ensemble performance as well. In their third and fourth years, students choose upper-division courses along one of the three specialty tracks, concluding their studies with a required senior project. All tracks include music history, applied music study, and ensemble performance. Students may declare as a music major without auditioning. Music offers graduate programs leading to the Ph.D. and M.A. degrees. Candidates for a Doctor of Philosophy degree can specialize in the fields of composition and theory, musicology, or ethnomusicology. The department also offers a Master of Arts degree in conducting. Our students speak about their experiences here.